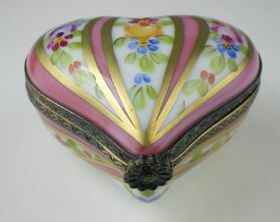 Faberge in the description refers to the pattern which uses real gold and which is a reurring decoration in many Limoges boxes. 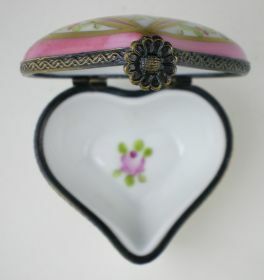 These hearts were originally used to hold locks of hair. Who says romance is dead? 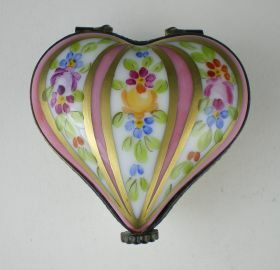 If you give this heart it will be treasured I assure you.